* Won through GoodReads First Reads Program. Summary from GoodReads: Theia Alderson has always led a sheltered life in the small California town of Serendipity Falls. 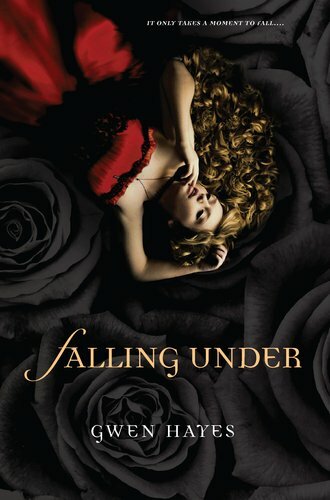 But when a devastatingly handsome boy appears in the halls of her school, Theia knows she's seen Haden before- not around town, but in her dreams. Theia Alderson dreamed of a burning man who fell from the sky onto her father's pristine lawn and soon after that she dreams of a boy near her own age (whom she feels a pull towards) that dresses in Regency finery who tells her that she shouldn't have come to the macabre party. You can only imagine her surprise to find the same boy registering at her school the next day. Who is he? And why has he come to Serendipity Falls? I really loved Gwen's writing style and Theia as a character--whom pours her soul into her music (she plays the violin) and she tries so hard to confine her "wild" nature as well as her unruly curls. Then there's Haden who wants to protect Theia so badly that he constantly tries to push her away--even though she's the reason why he came to Serendipity Falls. I really did love their relationship and how it advanced throughout Falling Under--as well as what Theia did to save Haden and the end result of that. I thought that it was well paced and the ending really left me hoping that there will be another book--because I really want more of Haden and Theia! My favorite minor character? Mara, Haden's mother. She's definitely not a nice woman--although perhaps "woman" is the wrong word as demoness would be more appropriate. She wants Haden to inherit her kingdom and more importantly, she wants him to choose to do so--although she could, of course, force his hand. I'd really love to see more about her and Under as well. What's Under? The realm in which Mara lives--as do other demons--that is both lovely and macabre at the same time. 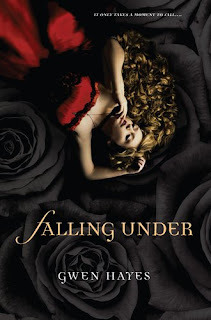 Falling Under was easily amongst my favorite reads this year and if it sounds interesting to you I'd highly recommend picking up a copy--besides, how absolutely stunning is that cover? Sounds like a good romance and a good read! Love that cover too! THis does have a really interesting sounding story. I might have to put it in the list! This one sounds pretty good, I actually wasn't to sure about it. Thanks for the great review.